It’s almost a guarantee that if you tell an elementary school student that you’re older than the internet, you’ll get a look of horror. This is understandably so; the internet has drastically changed the way our lives operate day to day. Many consumers find utilizing it to seek out reviews of products from to be particularly beneficial. But prior to consumer advocate sites such as Google Reviews & Angie’s List, existed the Good Housekeeping Institute. Established 105 years ago, the Good Housekeeping Institute’s mission is provide unbiased, scientifically backed information regarding the quality of products available on the market today so that consumers have a safeguard against unwarranted product claims that cannot be proven. All products under consideration go through extensive laboratory testing to ensure that the products are reliable and that the claims made by their manufacturers are substantiated. Here at Lindus Construction/Midwest LeafGuard® we’re proud to carry the only gutter system to have received the Good Housekeeping seal of approval. This distinction is important because clog-free gutters in good working order are the most important feature of your home for water management. Without properly working gutters, water can back up into your basement, landscaping can become damaged and your soffit and fascia can rot. How did the Good Housekeeping Institute decide to award LeafGuard® Brand Gutters with their Seal of approval? LeafGuard® underwent six weeks of laboratory testing by scientists at the Good Housekeeping Institute to ensure that the system was clog-free and could adequately handle large amounts of rainwater in a short period of time. In fact, in a simulated laboratory test, the LeafGuard® system was verified to have handled 32 inches of rain per hour-over three times the heaviest rainfall ever recorded by the US Weather Bureau. 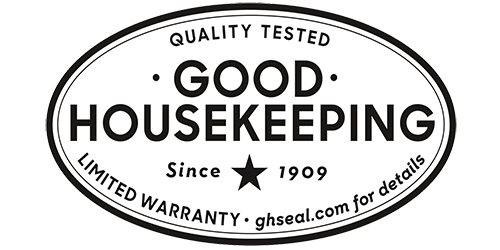 The Good Housekeeping Institute is stringent with the products they award their seal of approval because they guarantee that if one of those products were to fail within two years of the purchase date and proper documentation is provided, that they will pay for a full refund or supply a replacement. What makes LeafGuard® different from ordinary gutters? 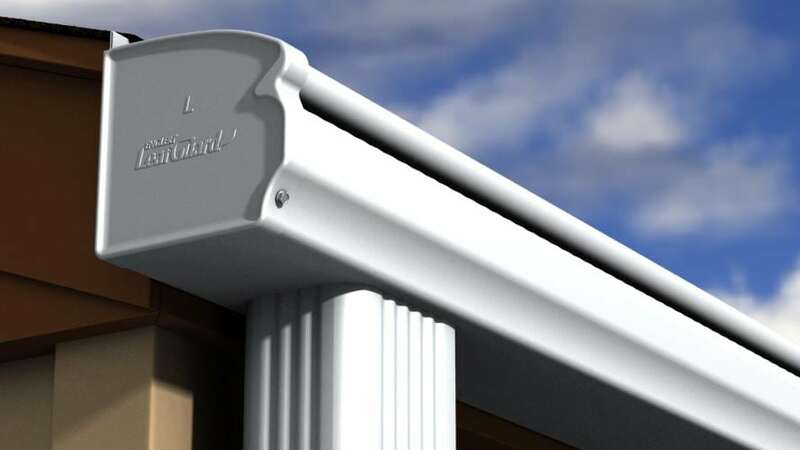 LeafGuard® Gutters are Backed By Industry Leading Warranties. Here’s What You Need to Know! Request Your Free LeafGuard® Gutter Estimate Here. This couple's home was missing gutters, which was having negative consequences. Here's how LeafGuard® Brand Gutters were able to solve their issues! Debby's been a loyal Lindus Construction client since 1985. Here's the story behind the third home we've had the pleasure of siding for her! This couple contacted us for LeafGuard® Gutters in order protect their new roof and prevent further damage to the wooden deck. "Lindus was back last month for installation of a LeafGuard® Gutter for our outbuilding. Had those gutters installed on the house maybe 15 years ago. They are super. Lindus did our roof three years ago...never got another quote. The Scott County building inspector told me that it was the nicest workmanship she'd seen all year. If you want the best, one word: Lindus." - Brent L.
"Fast professional work and great price. They even installed the rain diverter for my rain barrels on the garage gutter for me and it works great." - Bill H.
"Service Rep, Jason, was excellent. He worked with our insurance company to get the cost of replacement handled under our homeowners insurance. Installers were prompt, kept on task and cleaned up the work site - great job!!!" - Cheryl L.
"We had LeafGuard® Gutters installed on our home - Mitch was great to work with during the sales process. The installers were extremely professional and paid very close attention to every detail." - Barrett T.
"Very professional install team. Very happy with the LeafGuard® Gutters." - Bruce H.
"You did a great job." - Barb & Rodney D.